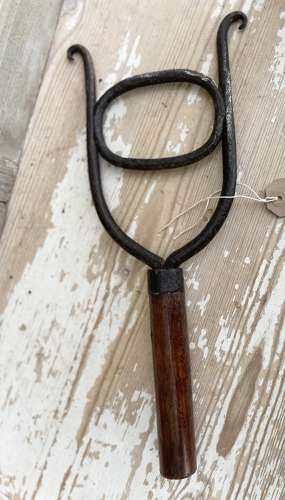 Antique Lyre Gag for admisistering medicine and drenches to horses and cattle. Keeps the animals mouth open while a balling gun or drenching horn can be placed through the loop in the gag. Blacksmith made with original handle.